Everybody loves waterfalls. They are so magnificent and strong they can always take our breaths away. Here are the list of seven top most waterfalls around the world. The Victoria Falls or Mosi-oa-Tunya is a gorgeous waterfall, located on the Zambia and Zimbabwe border. 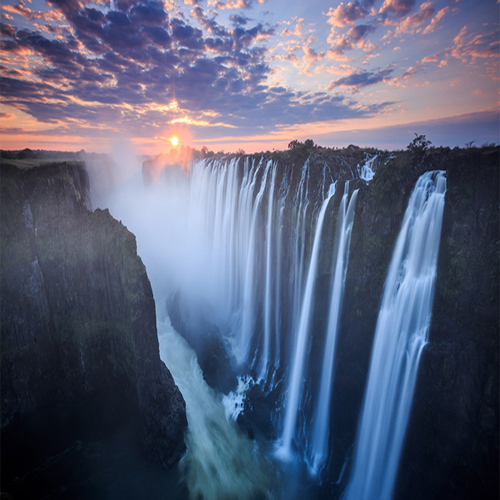 The water of Zambezi river falls down in a straight line for 354 ft (108 m).